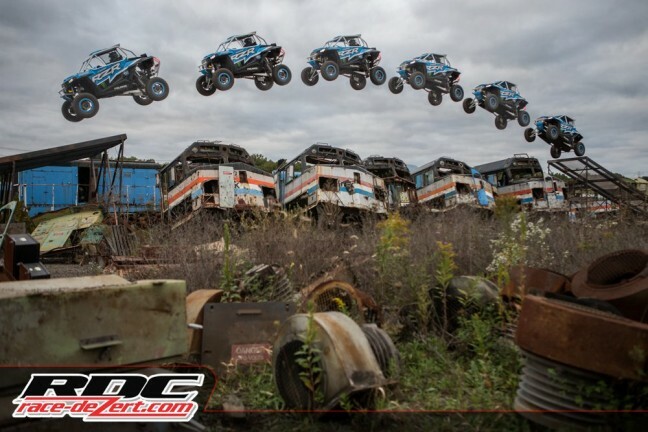 The heavily anticipated off-road viral video “XP1K3” was launched today via UTVUnderground.com. The third installment of the wildly-successful film franchise features the driving skills of three time off-road champion, RJ Anderson. UTVUnderground.com and motorsports production powerhouse Mad Media led by directing team “The Martelli Brothers” hit the launch button this morning after debuting the new video to a crowd of over five thousand at Polaris Camp RZR West, in Glamis, California over the weekend. The video launched worldwide today, in conjunction with the opening day of the Specialty Equipment Market Association trade show (SEMA). It is also premiering in a special screening area within BFGoodrich Tire’s SEMA booth, alongside one of the custom built XP1K3 RZR XP Turbo cars. Visitors to the BFGoodrich booth will have the opportunity to see the vehicle up close, photograph it, get signatures from RJ Anderson, and pick up a free XP1K3 shirt while supplies last. 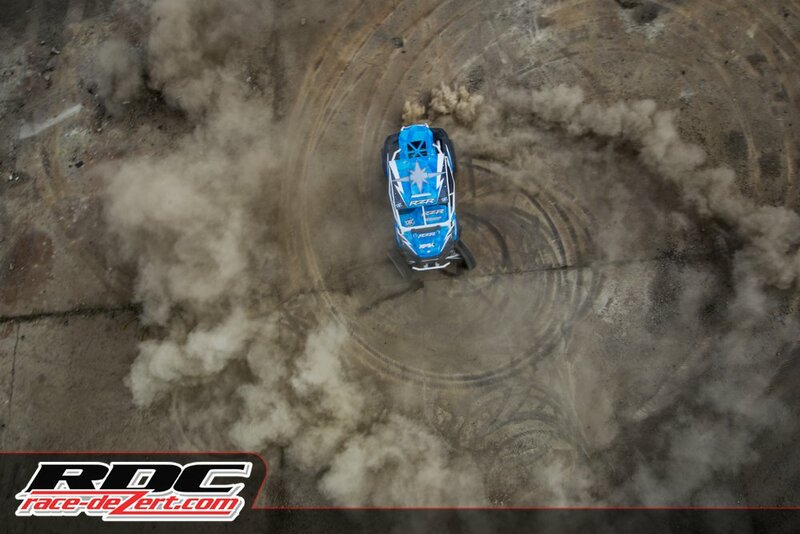 XP1K3 is six minutes of full throttle, turbo powerd, mind bending off-road action! 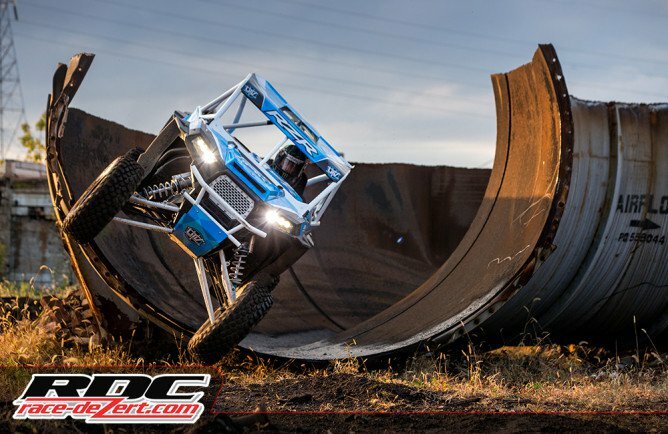 RJ Anderson fearlessly attacks massive jumps, high speed drifts, and treacherous man made terrain in his custom 200 horsepower RZR XP Turbo. 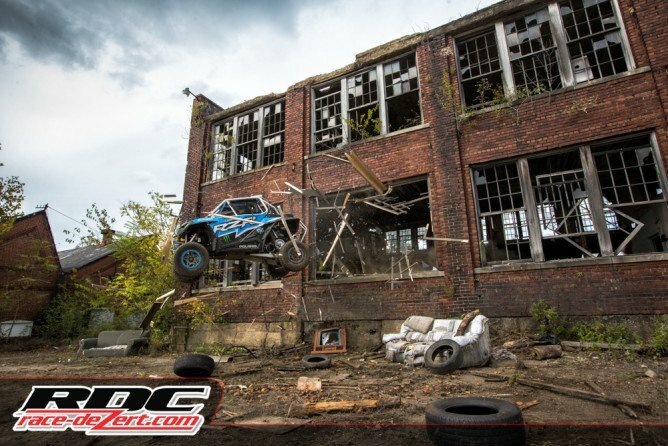 XP1K3 was shot in the post apocalyptic dystopian decay of abandoned steel mills, old factories, and train yards and features an array of massive man-made obstacles spread out over six locations near Youngstown, Ohio. 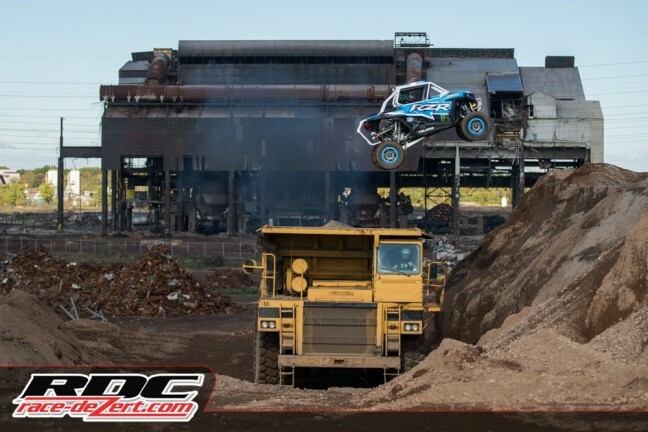 Tony Vanillo and his team of dirt and ramp engineers at Off-Road Management Group brought the insane obstacle course to life. “For our third installment of the XP1K franchise, we put RJ in a variety of urban decay settings and created some incredibly challenging stunts. His car control for this chapter had to be spot on – and it was. There were no airbags to jump into or safety wires to catch him. RJ executed all of these stunts for real. This is not Hollywood! There is no CGI – lot’s of real smoke, but no mirrors! And no other machine on the planet can do what we dreamed up – it had to be a RZR. ,” stated Co-Director Matt Martelli. The XP1K viral film series has accrued more than 16 million aggregate video views across YouTube, Facebook and Instagram so far, and has been watched in more than 70 different countries. The adrenalized, branded video campaign has made hundreds of millions of impressions worldwide, redefining the Sport Utility Vehicle (UTV) and Side-by-Side (SxS) market. “I am stoked to finally share XP1K3 with the world! I think people are going to be blown away. To be honest, I wasn’t sure if I could pull off all of these stunts! It’s crazy to think we accomplished this all on the Polaris RZR platform,” stated XP1K3 star and off-road Champion, RJ Anderson. XP1K3 is sponsored by Polaris RZR, BFGoodrich Tires, Monster Energy, Walker Evans Racing Shocks and Wheels, Holz Racing Products, Muzzys Performance Products, K&T Performance, Mastercraft Safety, Impact Race Products, STM Motorsports, Proline Wraps, Benchmark Performance, Dyno Jet / Power Commander, Fuel Customs, Johnny K Powersports, Redline Racing, and Next Level Motorsports / Aluminum.